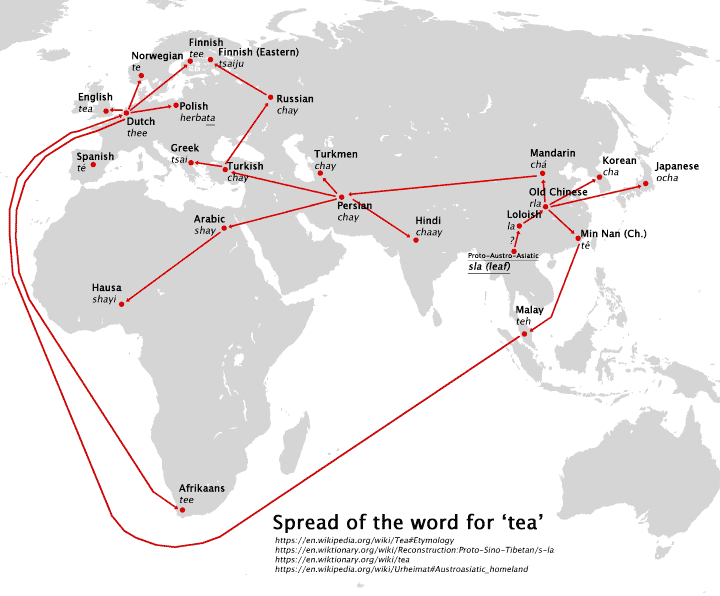 The two maps presented here show the spread of the words for tea and coffee around the world. For tea you can see the word originated from the old Chinese ‘rla,’ which no one knows how to pronounce. This then divided into cha and te variations of the word you find today. 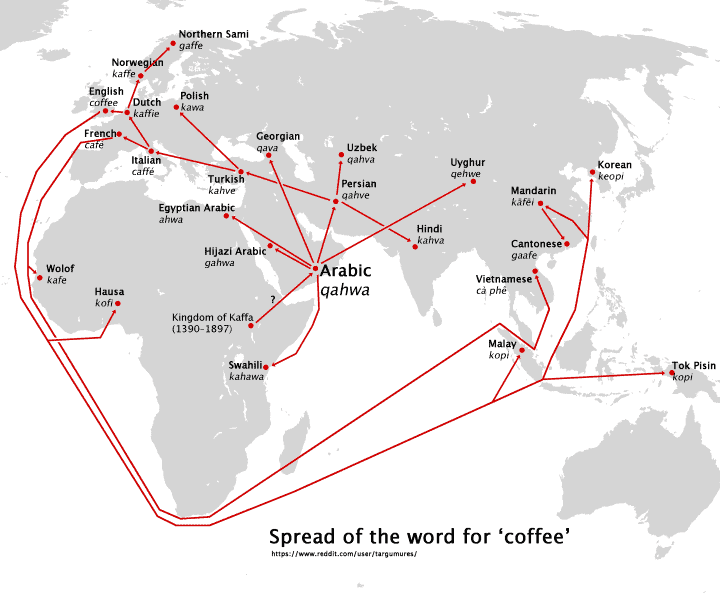 For coffee it comes from the Arabic ‘qahwa’ which then slowly transfer to Persia then Turkey and then to Europe and eventually evolved into the many European language varieties of coffee we have today. These in turn were spread to Africa and Asia via colonial empires. Yes, I believe you’re correct and this was an error. Yes, In Dutch it’s not kaffie but koffie. I was told that the Polish word for tea – “Herbata” is derived from Yerba Mate, which is why it is not a variant of Chai or Te. In Portuguese it’s “chá” and it comes from the Japanese. That user is a moron and should’ve researched a little more. Despite being the 1st Europeans to come in contact with Chá/Tea they aren’t even noted in map. It was the Portuguese princess made English queen that took it to England. Also Port has the only/oldest tea plantations in Europe! Do your homework!